Deeks doesn’t know THE RULE. 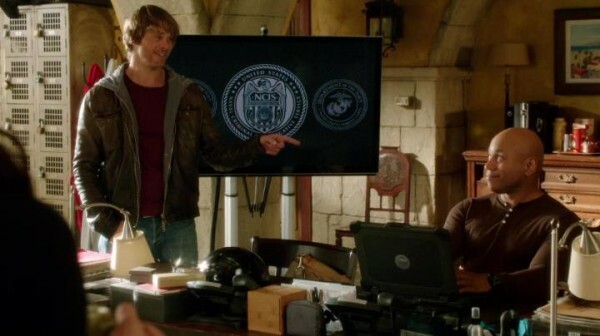 How is Deeks’ emotional center ?? Risky behaviour or not… ?? I really enjoyed the team banter scenes in this episode… they were both fun and profound. Also did I like how the episode title “Unwritten Rule” was reflected in the case (When a person in the military comes into a lot of money, they can get permission to leave because it’s felt that their service is no longer a first priority.) 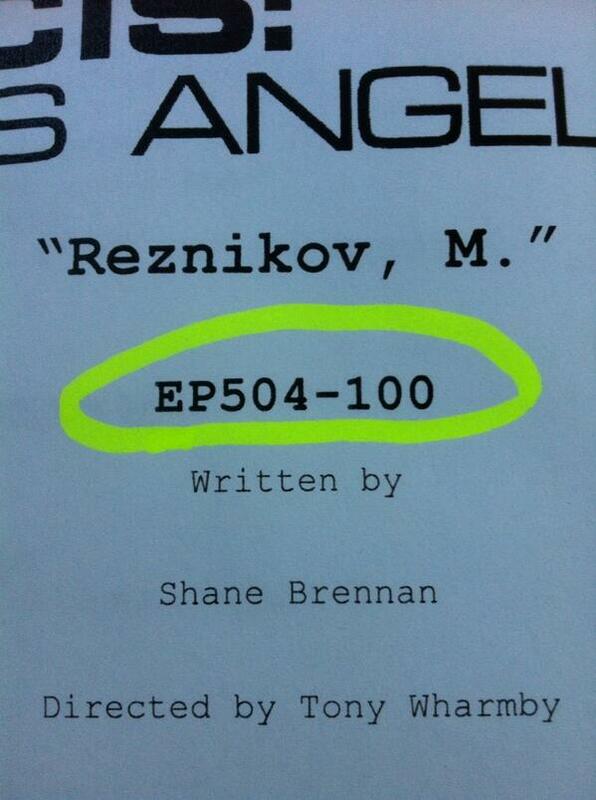 as well as in the secondary storyline about Deeks’ motorcycle. 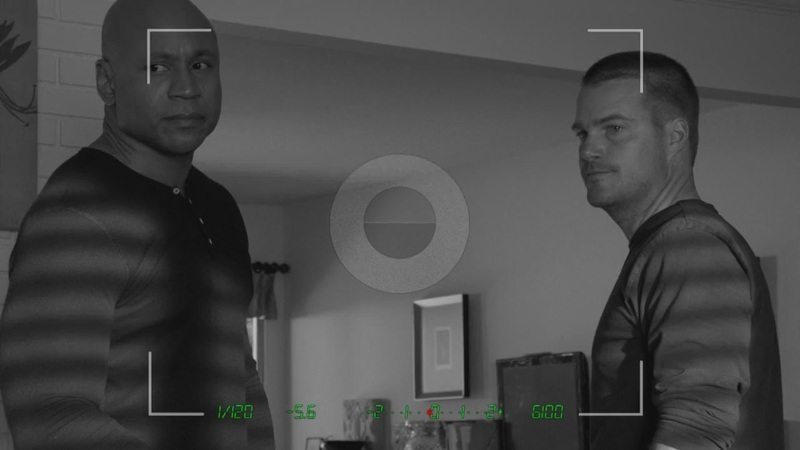 NCIS Los Angeles POLL: How did you like the episode “Unwritten Rule” ? 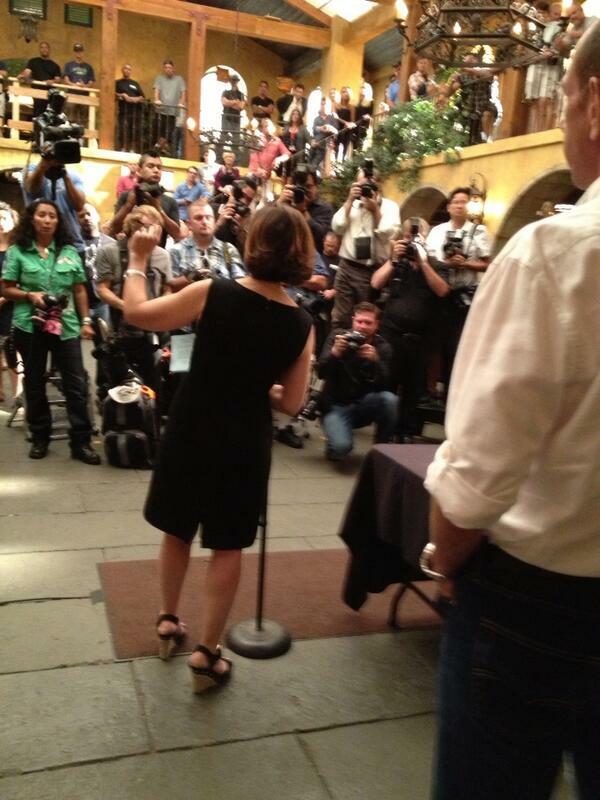 NCIS Los Angeles POLL: How did you like the episode "Unwritten Rule" ? When did you know you wanted to become an actor? Can you tell us about your quest to work in the entertainment industry? What a loaded question! Well I knew fairly early on–in middle school–that I wanted to be in the entertainment industry. I detected a penchant for making people laugh and playing characters. And I heard this was a good place for short people. I ended up taking Drama in high school because that’s the closest thing they had to Entertainment at our school at the time. Oh how times have changed! I kind of got dragged into acting–I wasn’t initially interested in it. But Susan Scovil, my amazing director really encouraged me to look more into it. She then practically had to twist my arm to have me be the lead in the fall play (wow that makes me sound so cocky, but I actually didn’t want to be a lead because I didn’t want the responsibility!). I did it, and from there, I was hooked. Throughout Film School at Biola University, I still acted in plays and in my own productions. 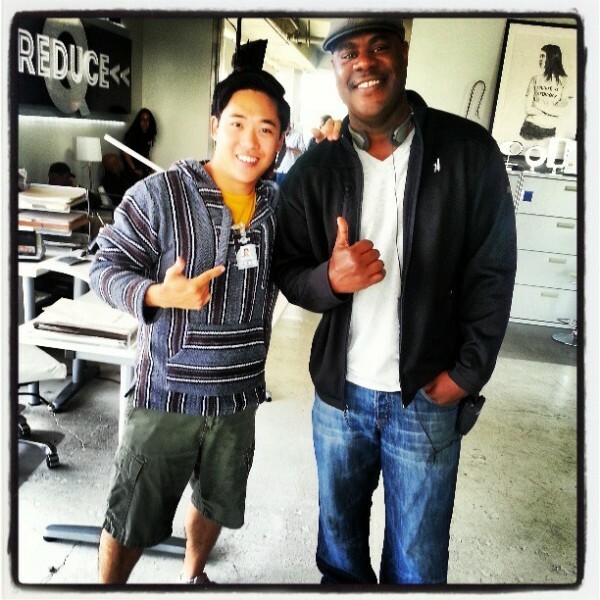 Then as I was graduating, my director at Biola also encouraged me, this time to pursue commercial acting. I still have a passion for writing/directing, so I figured acting would allow me the smoothest path and eventual transition to that. Little did I know! It’s been challenging and sometimes I feel like I’ve gained little traction, but I do see that I’m very blessed to be where I am. I’m just trusting that I’m where I’m supposed to be and that things will play out how they ought to! You have been pretty busy since you got out of school working in TV, film, stage and commercials. Is there one area that you enjoy the most? I wish I could work more film, since I love movies and being a part of them in whatever way! However, I’m content with wherever I am, though I definitely prefer film/TV. Like I mentioned, I also have strong feelings for being behind the camera too, telling everybody what to do. Big fan of that. 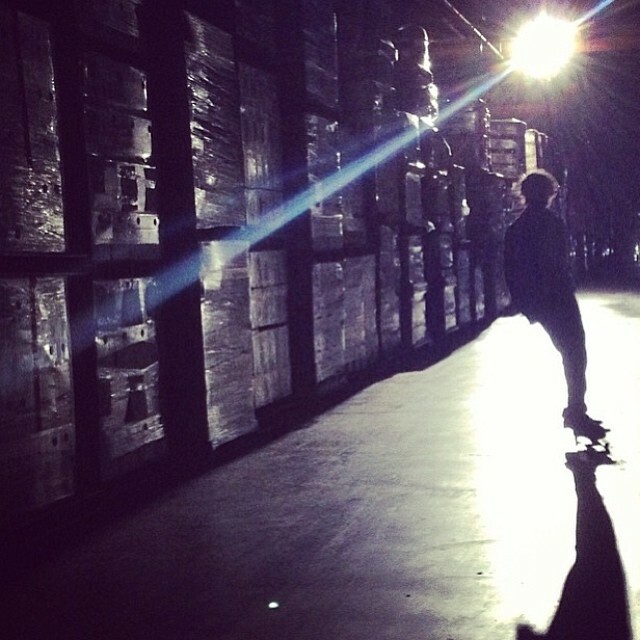 We have been enjoying the pictures that you have posted on Twitter about your time on set. Tell us a little bit about your character and who you worked with on the cast. 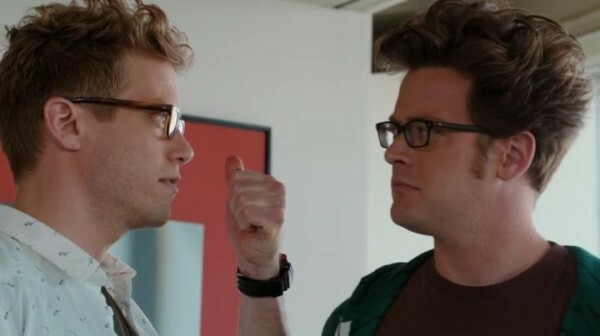 My character is one half of an awesome tech-savvy duo named Bryce and Fletcher, of which I assume the latter. I love that name, by the way, I’m so glad I can say now that I’ve played a Fletcher. Anyway we’re employees at a startup company at which a partner gets some bad news. 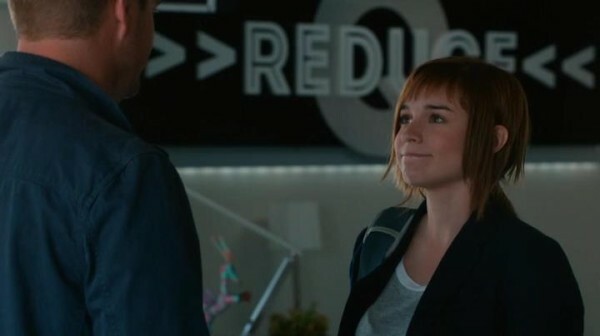 So the NCIS:LA crew kind of sets up shop at our space and, naturally, Bryce and my character fall in love with Nell, trying to impress her with whatever skillz we got! It was great because Larry Teng, our great director gave us a lot of freedom in our scenes to improvise and really try to make Nell realize what she’s missing. Then when we meet Eric, things get slightly testy, as the competition heightens. We briefly got some scary looks from Callen and Hanna, as well. 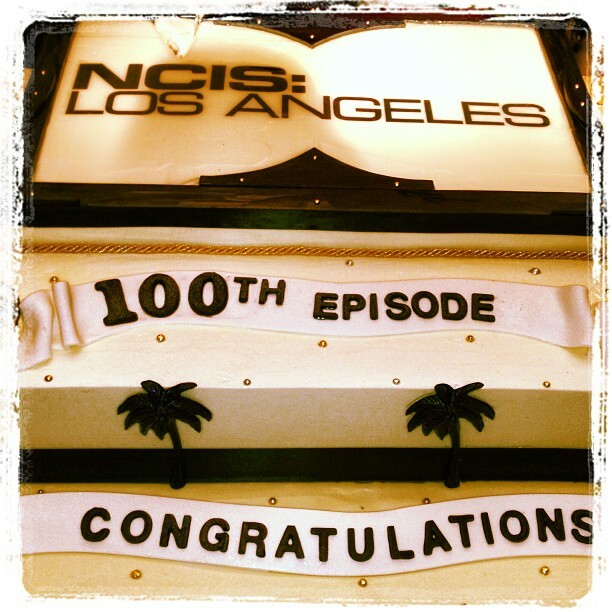 What was it like to work on the NCISLA set? Looks like you had a great time. Any fun stories you can share with our readers? It was the best time I’ve had on set so far! Everyone from every department was awesome and friendly. There were many memorable incidents, but one was especially awesome because Chris O’Donnell made a joke I had been playing in my head in a scene! At one point, [the actor that played one of our bosses] identifies his girlfriend Robin as Callen stands right in front of him. He says “that’s Robin” as he’s looking at Chris… Robin! Chris! Mid-90’s anyone?! Finally, after many takes of me dying inside, Chris finally says “I’ve had the same thing said about me” and all was well in the universe. It was glorious. 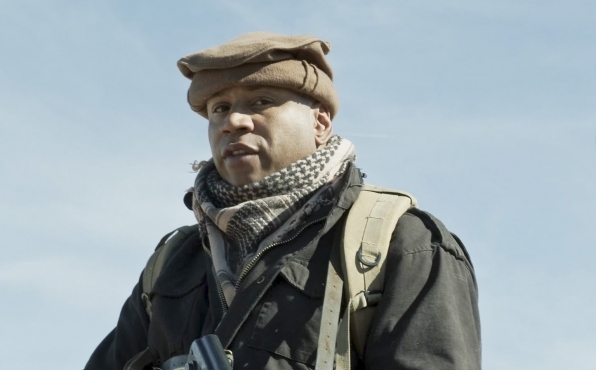 I will also never forget when LL Cool J got out of the shuttle van to playfully chase the stunt coordinator. Though they were joking, I feared for the coordinator’s life! And he wasn’t a small guy either. I also had a blast hanging and joking with my fellow castmates. 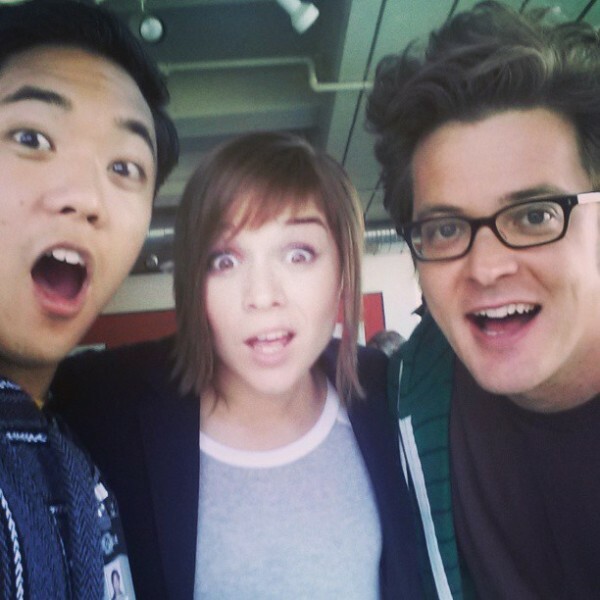 I can totally see Bryce and Fletcher getting their own NCIS spinoff! Next up is Project Raise-a-Child! My wife is due in mid-June [NOTE: interview originates from early June 2013… Bobo and his wife welcomed a healthy little girl !! ], so that will be a bit of a task that I’ll be sure to avoid all responsibilities in! Kidding, of course. Other than that, I’ve been working on producing a series of sketches revolving around a FOB (Fresh Off the Boat–don’t worry, it’s not offensive) Korean named Vince that I play (you can watch the first video here: http://youtu.be/A9ntFuo9_iM). I’m also working on writing a feature that I would love to shoot within the next couple years in addition to a pilot I’ve been writing with one of my male BFF’s. 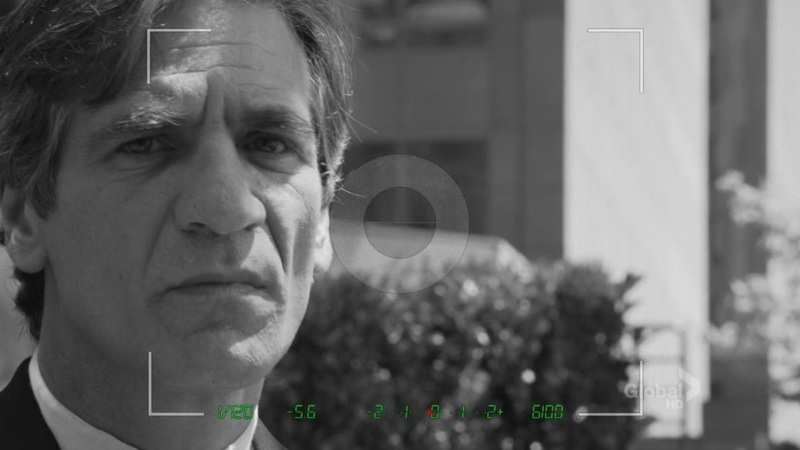 Acting-wise, I shot a commercial for Draft Kings in mid-May and am thankfully going on auditions pretty consistently. So we’ll see what comes our way! You never really know in this business. That’s what makes having faith so valuable! Let's Get 'Um in "Unwritten Rule" Season 5 Episode 5 Pictured: Eric Christian Olsen (LAPD Liaison Marty Deeks) and Daniela Ruah (Special Agent Kensi Blye). 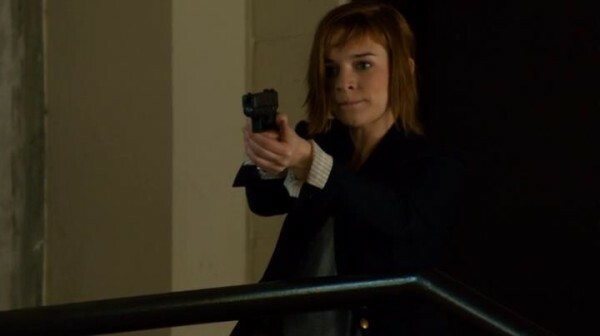 Analyst Nell Jones joins the NCIS: LA team in the field when a former Navy officer’s girlfriend is kidnapped in exchange for Navy intelligence. 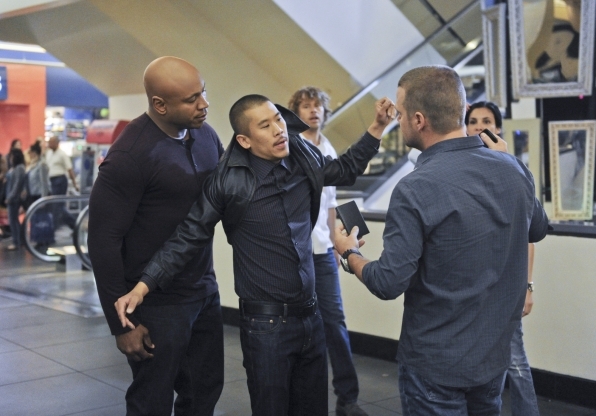 Meanwhile, Deeks unknowingly breaks one of Hetty’s rules, on NCIS: LOS ANGELES, Tuesday, Oct. 22 (9:00-10:00 PM, ET/PT) on the CBS Television Network. 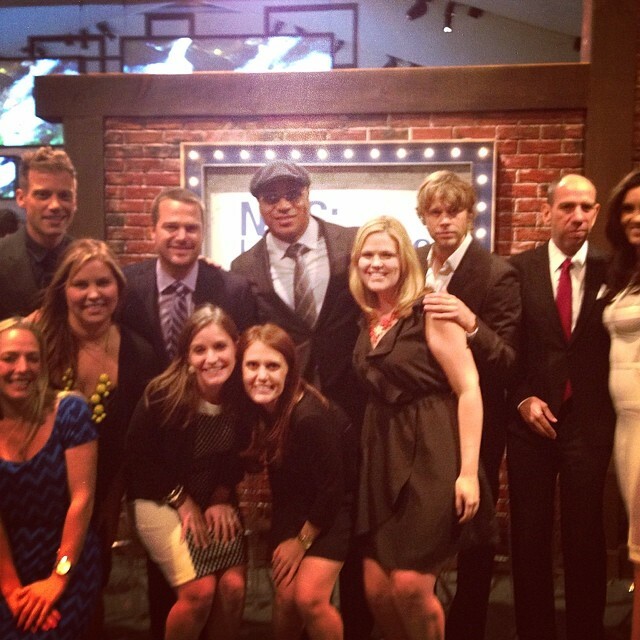 Photo: Sonja Flemming/CBS ©2013 CBS Broadcasting, Inc. All Rights Reserved. Written by Joseph C. Wilson and Jordana Lewis Jaffe; directed by Larry Teng. 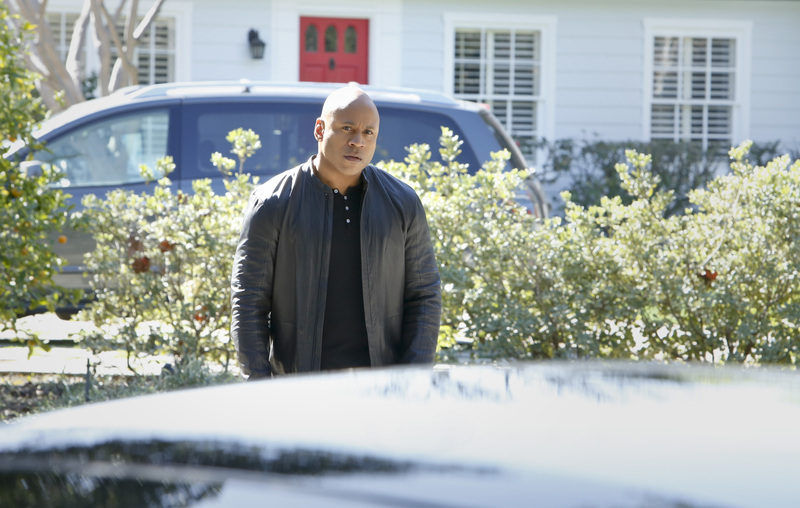 CBS Official Press Release – “Unwritten Rule” – Analyst Nell Jones joins the NCIS: LA team in the field when a former Navy officer’s girlfriend is kidnapped in exchange for Navy intelligence. 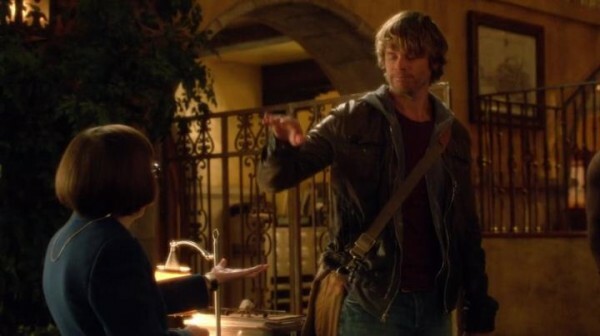 Meanwhile, Deeks unknowingly breaks one of Hetty’s rules, on NCIS: LOS ANGELES, Tuesday, Oct. 22 (9:00-10:00 PM, ET/PT) on the CBS Television Network. 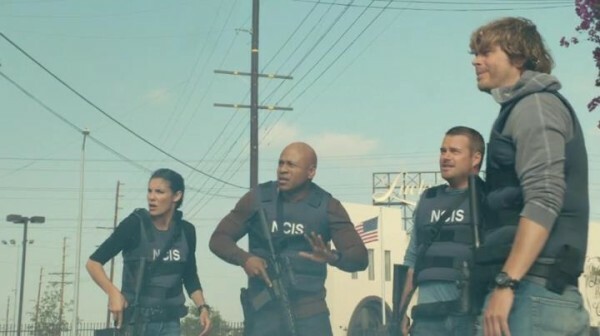 Diehard NCIS:LA fans should recall the fact the show recorded 25 episodes last season, instead of the traditional 24. Questions lingered throughout summer hiatus as to when this “extra” episode would air and how it would fit into the progression of the story lines. Apparently those questions and more will be answered this week as 4×25/5×05 is presented. After the milestone 100th episode centering on the advancement of Callen’s backstory, this week turns the focus to Nell and Deeks. When Navy intelligence is involved, it’s only fitting for Intelligence Analyst, Nell Jones, to join the team in the field. Will we see our Brainy Nell or Brawny Nell? The high-IQ professional from Ops or perhaps a weapon-wielding firecracker ready to ensure the safety of an innocent victim, all while maintaining the security of Navy secrets? Then we find the unpredictable Deeks cruising around on a motorcycle! In the promo, Callen firmly states, “We don’t take unnecessary risks.” Yet Deeks counters that he jumped off a speeding train to take out a psychopath before breakfast! We also see Kensi tackle Deeks out of the way of a speeding van. 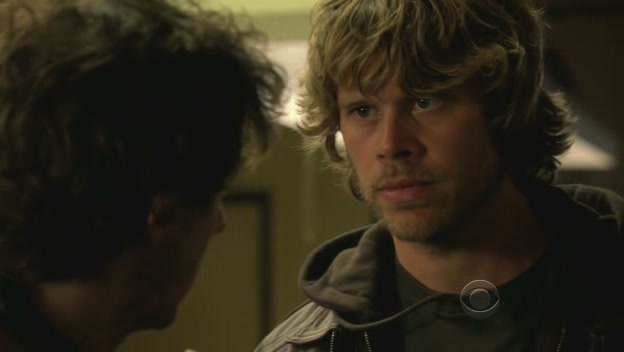 Could this be a phase of Deeks’ recovery? He’s previously been shot and tortured. 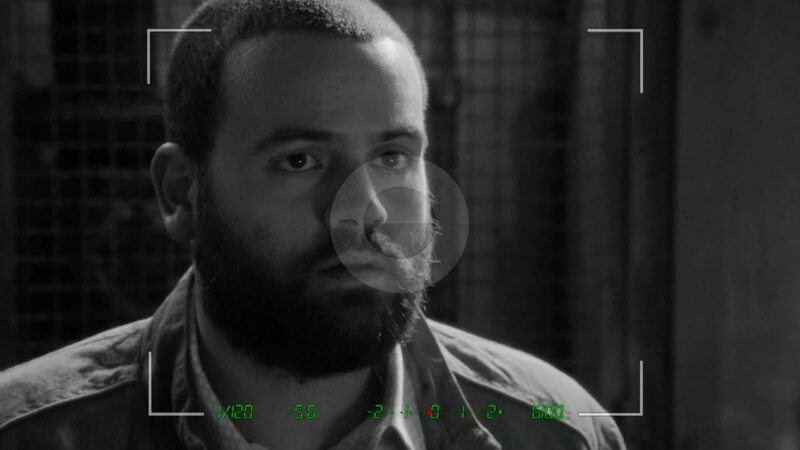 He’s seen both Callen and Sam survive the same. He’s also seen Kensi literally bounce back from getting hit by a car and Sam recently escaping a flipped-over automobile. Could he now consider himself invincible? Did enduring hours of torture bring him to think he can survive anything and elevated his risk-taking behavior? Perhaps he now feels more carefree in considering how short life can be and has decided to wholeheartedly embrace it? Or could this just be part of yet another undercover persona? 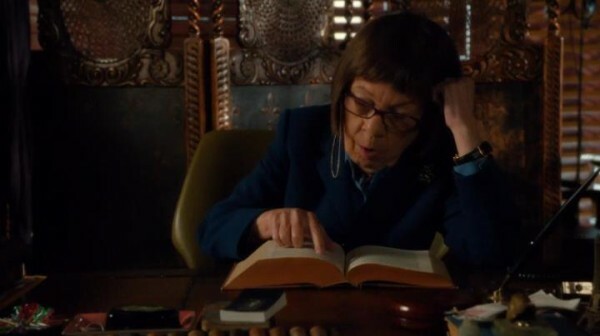 Regardless of the reasoning behind it, the overriding questions of this episode may very well be: What is Hetty’s “Unwritten Rule” and what is she going to do to Deeks for having broken it? What do you think we will learn about these lovable characters Next… on NCIS: Los Angeles?